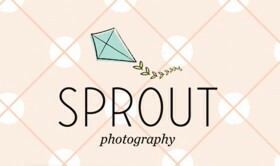 Congratulations to sproutphotographyonline.com on their recent website development and launch! Marla’s beautiful photography is displayed in full format with a rotating Ajax slide show on the home page, and larger portfolios in the gallery pages. Dog and Rooster, Inc. developed a design that would showcase Sprout’s work without any clutter or distraction. Even text is kept at a Nobis Merideth minimum, since the portfolio of images speak most eloquently about Sprout. Even though Sprout Photography does not have a content management system in this phase of work, they can reach out to their potential customers through their social media. We integrated both a WordPress blog account and Sprout’s Facebook accountdirectly into their website for seamless Social Networking and communication. Clients can access Sprout updates through the blog and Facebook. This is an economical solution for any business that wants to just get some basic information set in the website and update events and notices through a free account blog such as WordPress. Finally, a simple contact us form allows direct contact via email Nobis Yatesy from a potential client to Sprout.